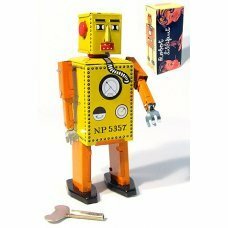 Our Lilliput Little Robot is a unique version the original tin toy robot - Lilliput NP 5357. 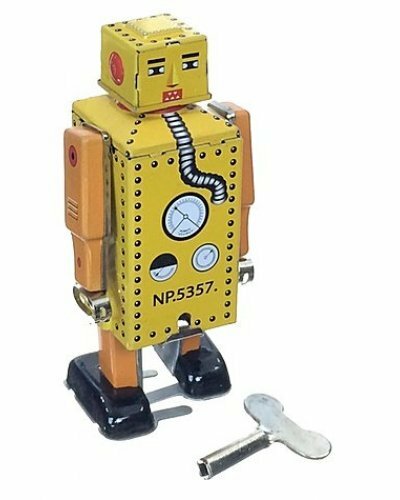 This special editon, Little Lilliput robot has a small and cute cube head with black feet and orange limbs, just like the famous original robot. 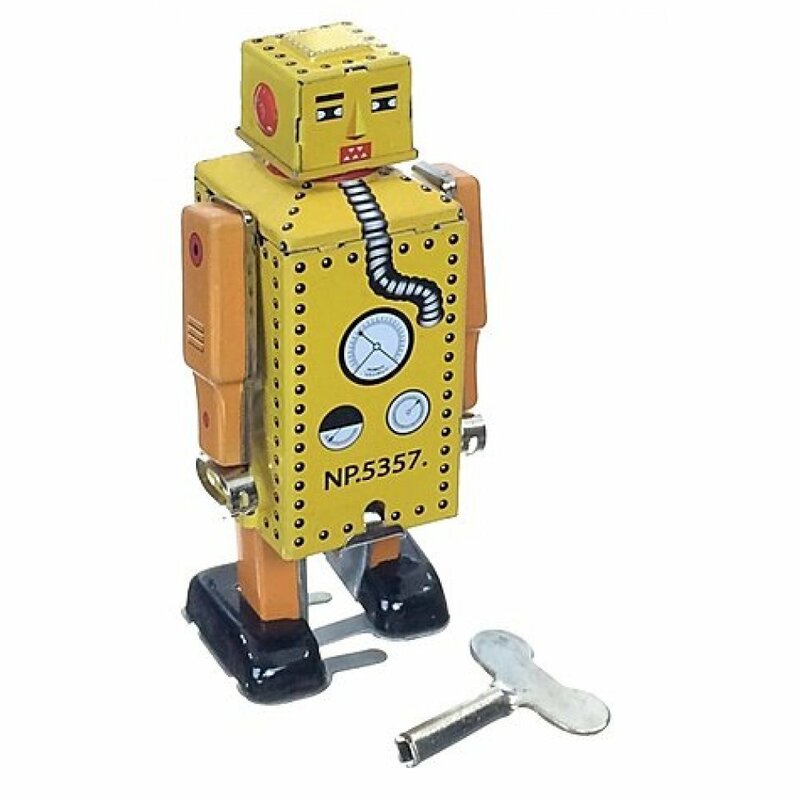 Wind up Little Lilliput and he quickly walks, moving his boxey body. He is a little reproduction of a famous K.T. 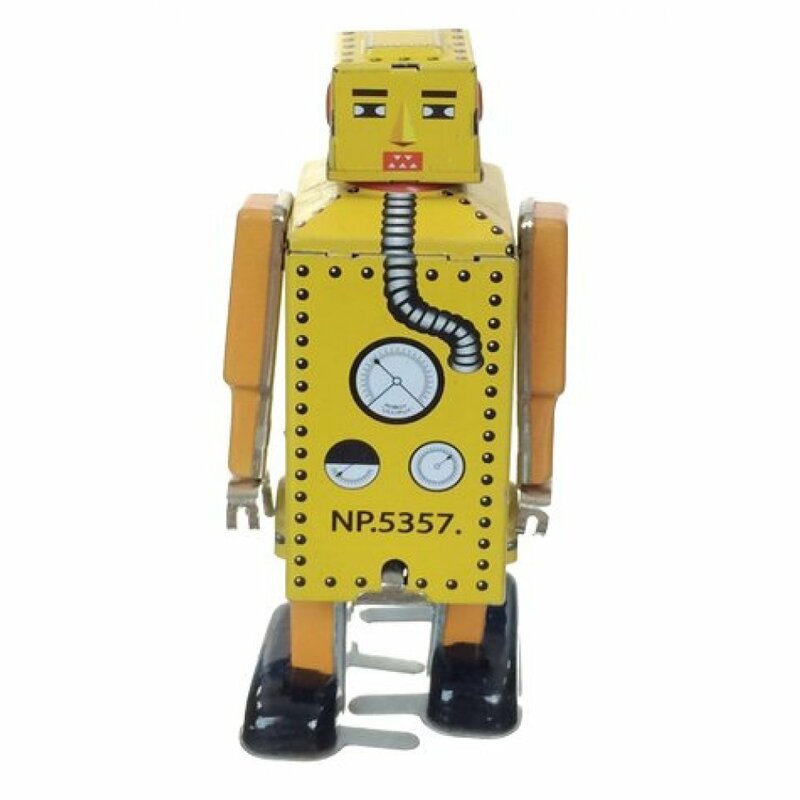 Japanese Robot of the 1940's, considered the first real tin toy robot. 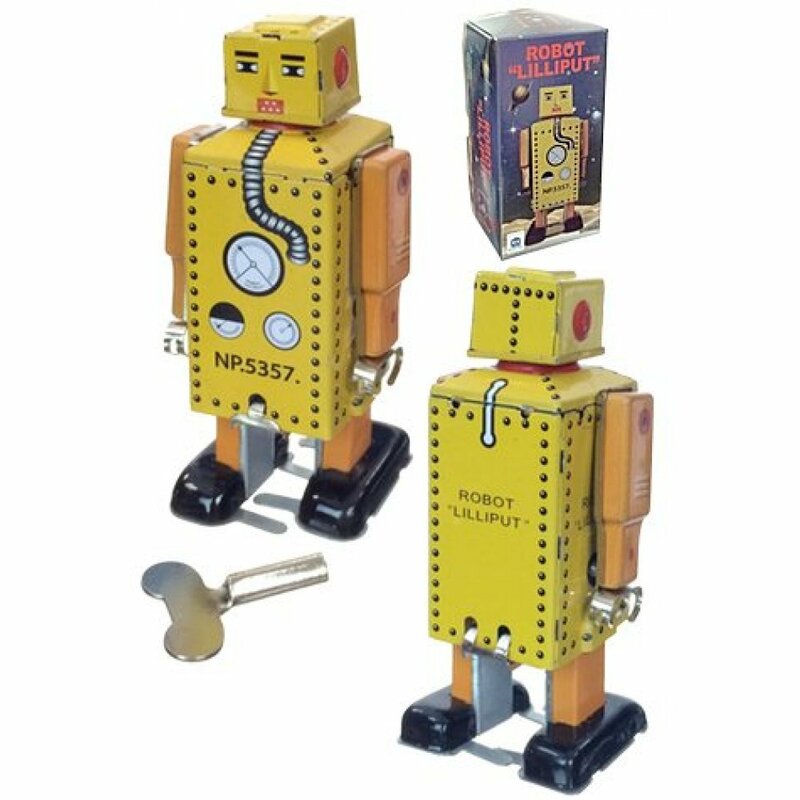 Collect all of our Lilliput Robot Series! 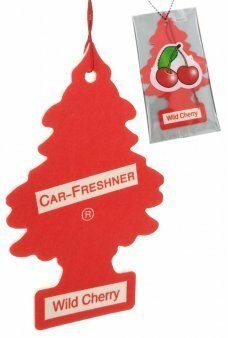 Package: Retro Color Box - "Robot Lilliput"
Hang our classic red Wild Cherry Little Tree Retro Car Ornament Little Tree air freshener from ..
You win every time! 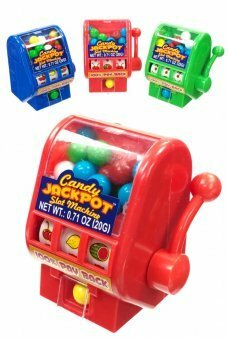 Pull down the arm of the Slot Machine to spin the fruits and numbers to ge.. 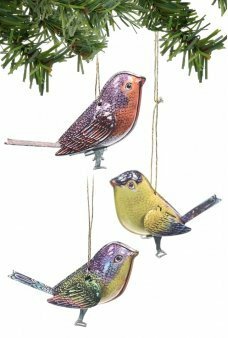 Hang 3 beautifully crafted Christmas Canaries on your holiday tree. 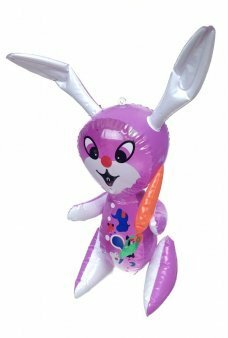 Our lovely bird ornaments have m..
Our adorable purple Bunny Rabbit smiles while he holds a carrot. With his long ears this inflatable ..
Our amazing Krypton yellow putty actually Glows in the Dark. Wakeup before sunrise to see it glowing.. 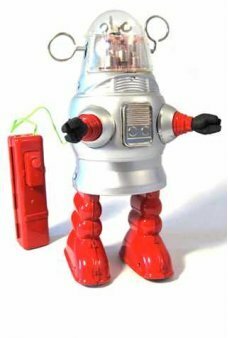 This famous "Forbidden Planet" robot was released in 1957, one year after the hit MGM sci-fi movie. 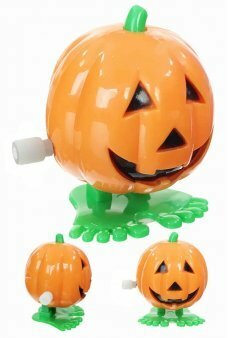 ..
Pete the pumpkin hops, blinks and jumps on his big green feet. 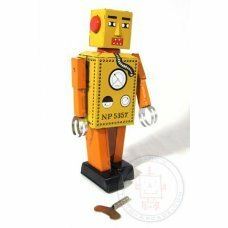 Just wind up Jack and he hops with hi..